I have bell peppers coming out of my ears it seems like! I planted six plants this year and they are all doing pretty well! 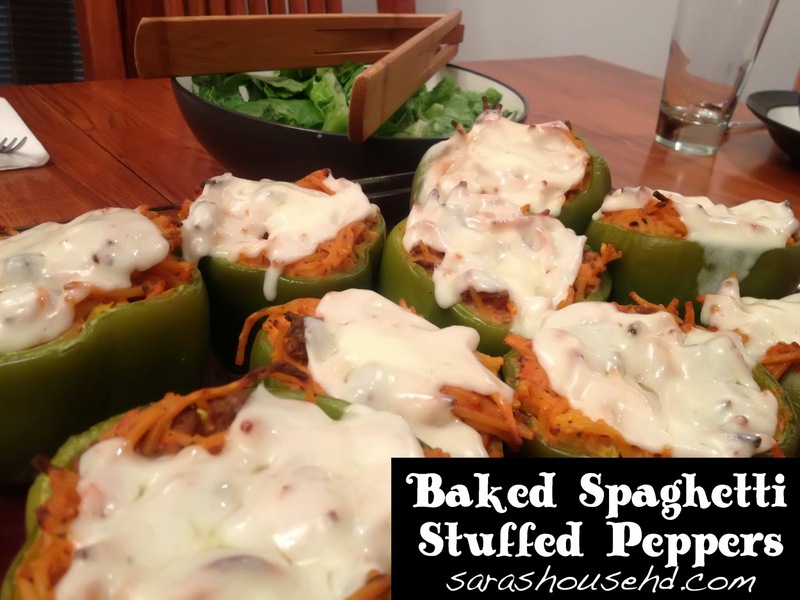 We all like stuffed peppers and I posted a different recipe last year that is still one of my favorite ways to stuff peppers. 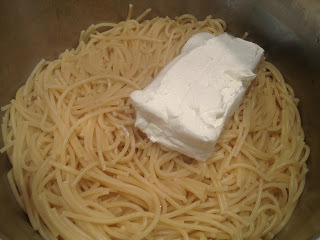 This year I was trying to come up with different ways to stuff them when I decided to try baked spaghetti. HD liked them and Kevin wasn’t sure at first, but he liked them too! This recipe makes quite a bit, so you can always cut it in half if you need to! Break the spaghetti into small pieces and cook according to package directions. Brown hamburger and onion in a skillet. 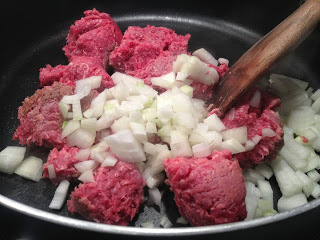 When the hamburger is almost completely cooked, add the garlic and cook for another minute or two. 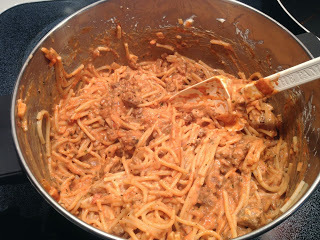 Add the spaghetti sauce and heat through. Set aside. 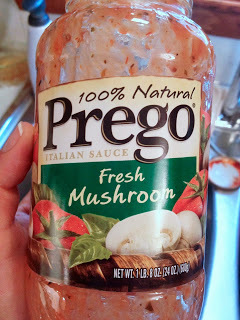 My family likes Prego’s Fresh Mushroom the best. 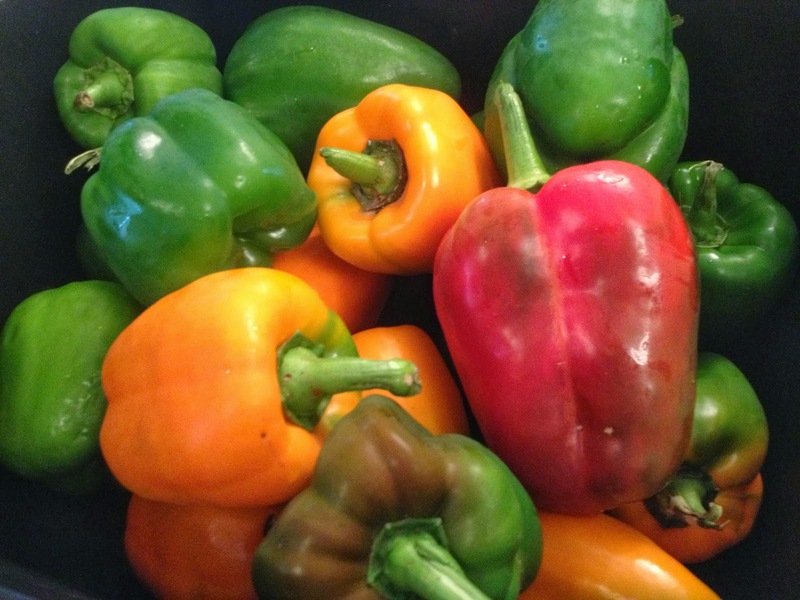 Wash bell peppers and cut off the tops. Scrape out the seeds. Spray a 9×13 pan with non-stick cooking spray. Set aside. Once the spaghetti is cooked, drain well. Place back in the pot. 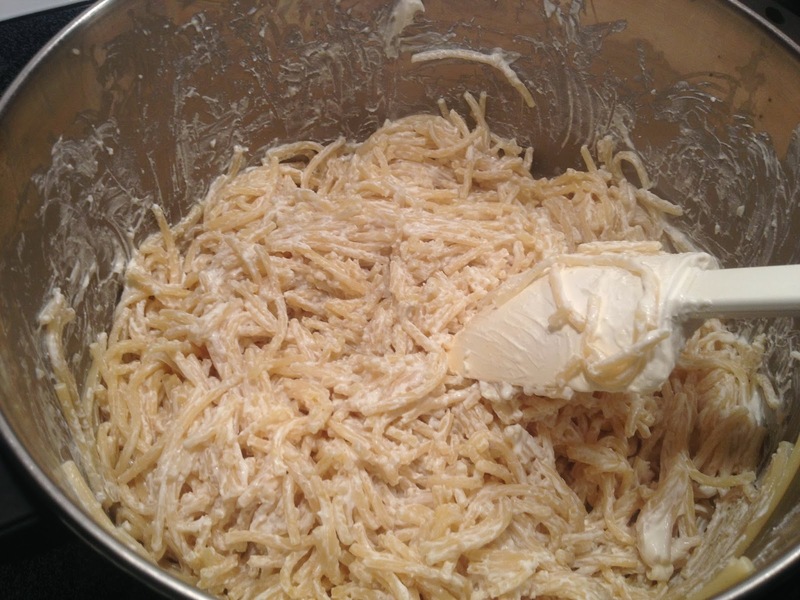 Add the softened cream cheese to the spaghetti and mix until the cream cheese is completely melted. 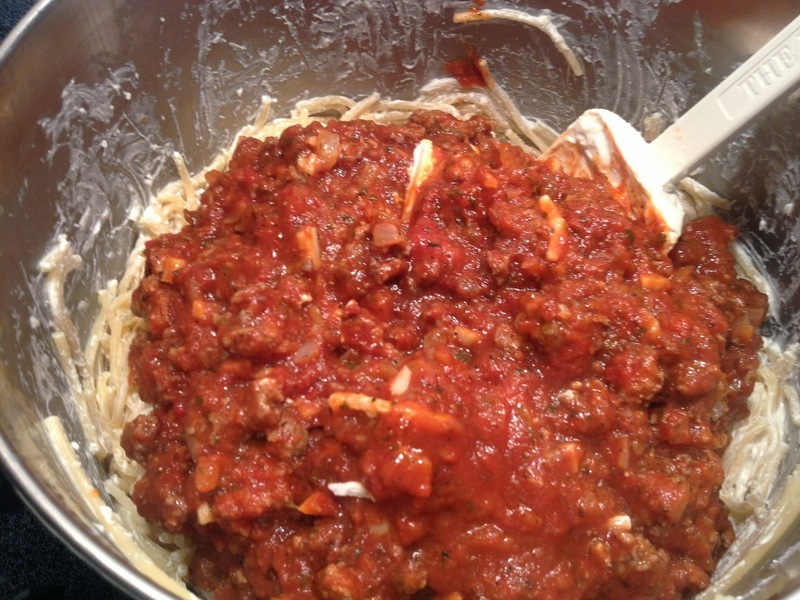 Add the spaghetti sauce mixture to the spaghetti. Mix well. Place the spaghetti mixture in the bell peppers and sit upright in the pan. 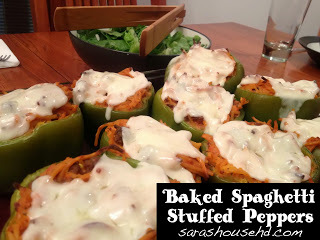 Bake for about 30 minutes or until peppers are soft. Add a slice of smoked provolone or mozzarella cheese to the tops and bake for an additional three minutes or until cheese is melted. Serve hot. Enjoy!